Technology offers endless means of expression for storytelling. 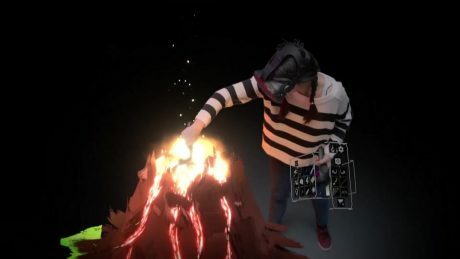 Further research led me to find this innovative brush by google; The Tilt Brush. Allowing artists to create art in a three-dimensional virtual space using HTC Vive VR Headset and controllers. This could allow one to record an artists performance thus allowing one to create content for background in an innovative way.